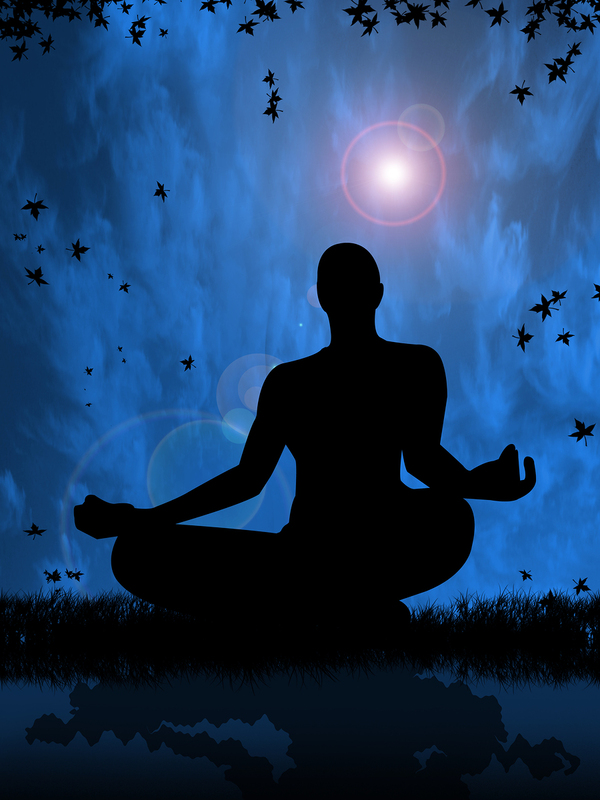 ” Heaven On Earth Healing Arts Centre presents “Healing the Shadow Self” meditation. Our shadow self is our darker side where feelings are repressed, hidden and denied. We may be unaware of them altogether because we have pushed them down deep inside us. As we learn to love and respect all aspects of our Self, we must take responsibility for our thoughts, actions, and behaviours in a more positive way. Changes are happening. There is no doubt now that things are changing at such a rapid pace. We can see it when we feel it and when we take the veil of distortions from our face. A lot of work is being done behind the scenes. Whether or not we can see everything that’s going on, it’s not important. Things are changing either way and I’m sure even the least aware and “awakened” can feel it. Everything is changing at a subatomic level. Sometimes the changes express themselves in a raw, straight in the face manner, or as very subtle, fine vibrational way that at times might be difficult to recognize. In either cases, know we are experiencing many changes, it just takes a while for us to process them. Things are being revealed to us at the right time. We are evolving. We are ascending as a collective. If you are still doubting it, it means you haven’t put the puzzle pieces together, which is alright. You will, at the right time. It can only get clearer at this point. Bottom line is, all roads lead to Ascension. All roads. Do you best to lose judgement of another’s journey and adopt a respectful attitude. Allow others to experience what they choose to experience without judging it as good or bad. It all is. Detach. We know not others journey, but our own. Do not try to control, influence or manipulate others in any ways, whether you think, through your own judgement that it benefits them. Let them learn, let them experience, let people be. Many are meant to be pillars of light and bring each other higher and higher through the consciousness of Unity. Everybody is a pillar of light on their level. There are, however, still too many distortions. Of information, of dysfunctional love, of energy and so on. My question is: Is it supposed to be this way ? Are we supposed to ignore, support or move away from this type of behavior ? The answer I get is it is our own choices and decisions. Eventually, we will have to do our best to dissolve and move away from this type of behavior. Because we’re all one and all creating a collective reality on different levels and planes of existence, this kind of behavior will exist as long as we support and maintain it. All the things we so do not want, all the things no one likes, will continue existing as long as they exist within us. It doesn’t matter how subtle, or unimportant it might look. It still is what it is. Think of it in terms of macrocosm and microcosm. Do you see now how important you are ? How important releasing and doing the “inner work” is ? The difference you make by doing that ? It affects billions. You being your authentic self. Affects billions. Read that again. The energies are facilitating the stripping down of all illusions, dysfunction, distortions and pretty much anything no longer serves, but they will not do the work for us. The only way up is through. All our perceived problems will not magically dissappear, all the illusion will not magically dissolve in a blink of an eye, because that is not the plan anyways, that is not illusion’s purpose. Illusion dissolves when it serves its purpose. Now, it is so much easier to flow through the perceived challenges with grace and gratitude and a much deeper state of surrender. The light quotient of the planet is constantly increasing tremendously. It makes things flow a lot easier. As a result of that, in these moments we are in, we are being shown once again facets of ourselves that need to be unified into the whole being you are, the aspects that have not yet loved, accepted and embraced. Shadow Self included. The Shadow is not separate from us. What is the shadow self anyways ? It gave us one of the most beautiful, deepest, most profound experiences. The shadow gave/gives us the experience we wanted. The illusionary separation. Do you see its beauty ? Do you feel you’ve made peace with it ? Do you see how it can keep you in a miserable state of being, but also how it initiates you in the highest most profound experiences you can have ? It initiates us into a higher state of being eventually. In order to be able to face our shadow self, we need to understand it. Let’s make it clear and simple what the ” shadow self ” really is. The shadow self is composed of all the things that are vibrationally on a lower vibrational level, the illusion, the unconscious such as: fear, limitations, dysfunction, illusion, outdated thinking patterns, emotions that no longer serve etc. All these make up your shadow self. There are too many little branches, shapes, forms of the shadow self and too many situations to be able to write about it all. That is why it is of utmost importance to be able to cultivate our own inner guidance/intuition and awareness. Now, those facets of the shadow self might come up to the surface, to be acknowledged, embraced, ” worked on ” and transcended. As much as you can receive assistance from the outer, from other people, there are times no one can truly know exactly what you’re experiencing, or how you should approach things and certain situations or how to transform yourself and no one can do it better than yourself. No one can assist you better than yourself. Because, no one is better than you at being you. That doesn’t mean going to the other extreme and not being receptive and open. You see, it might feel like a balancing act, because we are truly in a phase of recalibration until the end of the year and no moment is the same. Make the best of it – rejoice! A new monthly cycle has arrived. The Summer Solstice seems like it was ages ago. Since then, we’ve been constantly embracing the “darkest” aspects of ourselves that needed nurturing and healing. This continues throughout the month of July as well. We are also still in the process of internalizing the light codes and activations we have received during the Solstice. These take a while to integrate, so we are in a bit of an adjustment period. There are many exciting things happening in July, yet that is no news, exciting things happen all the time when you are present in the moment. We are starting the month with a powerful opportunistic Full Moon in Capricorn, while Jupiter and Venus are dancing in our skies and other celestial alignments that are facilitating deep changes in the collective consciousness. This Full Moon in Capricorn feels like it is all about balance, which is why I’ve written this article the other day – Regaining And Maintaining A Balanced State Of Being. At the same time, I think a more specific balancing purpose this Full Moon has is facilitating the balance between our work/our responsabilities/our Soul purpose and our nurturing/our personal inner healing/transformation, which go hand in hand, sort of. We have to find that balance and apply it in our lives. The inner work/inner healing and cleansing is getting more and more intense, that is because we are literally being shaken to our core. The deepest, most complex, subtle and hidden shadows are surfacing now. They are asking us to acknowledge, accept and embrace them as parts of ourselves, which they are. When we do that, we transcend them, we heal them and we expand. What takes for that to happen is simply our awareness of the ” shadow self” in the present moment of now, then the guidance and tools to transcend that will come naturally if that is what you desire. You basically just have to deeply feel it and sit in silence with it in your inner sacred chamber to transform self through it. This way you become whole and more unified, not that you aren’t already, yet it is a leap in the human consciousness, it’s a higher level of awareness as a physical being. Sometimes, the way this shadow work gets done is through our relationships with others. Observe your interactions with others and what comes up and most importantly, observe yourself, your reactions, the way you respond, do you come from a place of love, compassion and understanding or from a place of separation and duality ? Relationships are the easiest and fastest way for us to grow and transform into the highest aspects of ourselves we can be in every moment, ascend basically. That is one of the many reasons why Unity Consciousness is so important for the collective, as the only way “up” is together. I feel like it’s important to point out again that the easiest way to approach “shadow work” is to adopt a playful attitude towards it. In the bigger scheme of things, as serious and dark it can seem in the moment, this is still child’s play, so be childlike – don’t take things so seriously, don’t overthink everything and let the unnecessary details go. What’s most beneficial for our state of being is to raise our frequency and vibration. We do that through joy. Have fun, laugh, explore, discover, read, travel, or whatever brings you joy. That mixed with your presence in the Now is one of the most ” spiritual “, most esoteric and magical thing you can do. Doing only that and leaving behind what no longer feeds your Soul’s greatest passion is life-changing in itself. As most Full Moons, this one will reveal something that hasn’t been brought into your awareness until now, so be aware and allow whatever it is the Universe is trying to tell you to come without expectations. Messages, experiences, signs, emotions, insights, old things within ourselves that need transmutation or aspects of self-mastery we need to “work” on always amplify around full moons and that is simply to make you aware of it. You will know exactly what it is, because it will come in a way that you can understand and see clearly. Your Higher Self knows what he/she’s doing. Connect consciously with him/her and your Team this Full Moon, allow the guidance to flow through you and take the steps you feel guided to take. Our intuition/inner guidance/ has been increasing tremendously lately due to big quantum leaps in our individual and collective consciousness. We’re merging more deeply and in a more tangible way with Spirit, with the Soul Source in physicality and many are following the same road. I am sure a lot of you have been feeling and experiencing this merging one way or another. Kudos, Pioneers! We are progressing faster than ever before. Set clear intentions during this Full Moon, plant the seeds and be patient, they will blossom in no-time, literally.